Fathia escaped the war in Yemen with her two babies, to then spend 12 years as a refugee family in Ethiopia waiting for a new country. She had never heard of new Zealand but after requesting a “peace country” she and her family arrived in Wellington about 10 years ago. 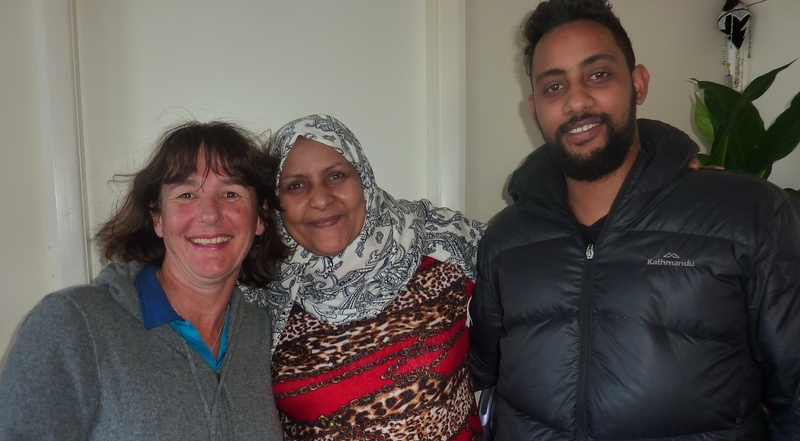 To celebrate World Refugee Day New Zealand we will have a chat with Fathia, her son Mohammed and Kate Miller, their volunteer support person about their experience of settling into Wellington. The answers are not what I thought and every kiwi needs to hear this. This entry was posted in Social & Civic and tagged Family, Refugee, Volunteers, Welly Women by lauriestarfish. Bookmark the permalink.